At The Stand, we are proud to provide you with the freshest, healthiest produce. 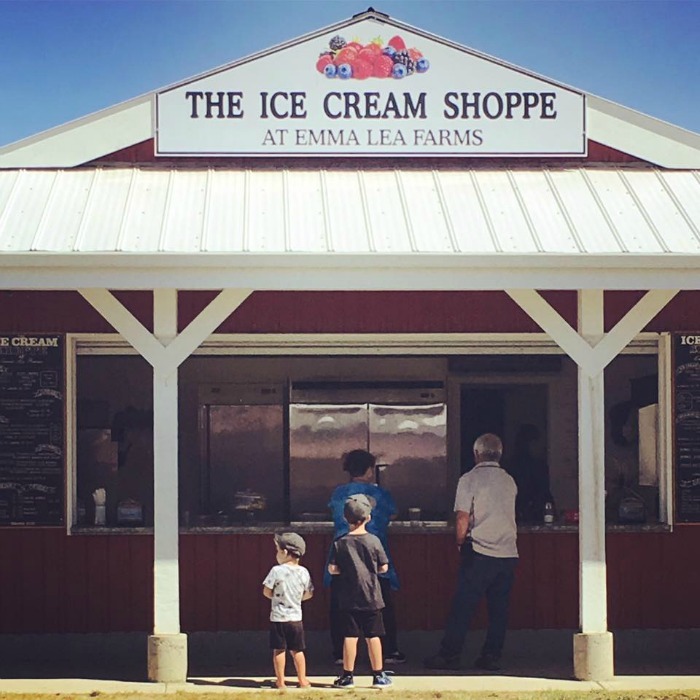 Most of our products are grown and produced right here on our Westham Island farm. Everything else, is brought in from local farms that have the same high standard practises that we do. The highlight of our stand is berry season. 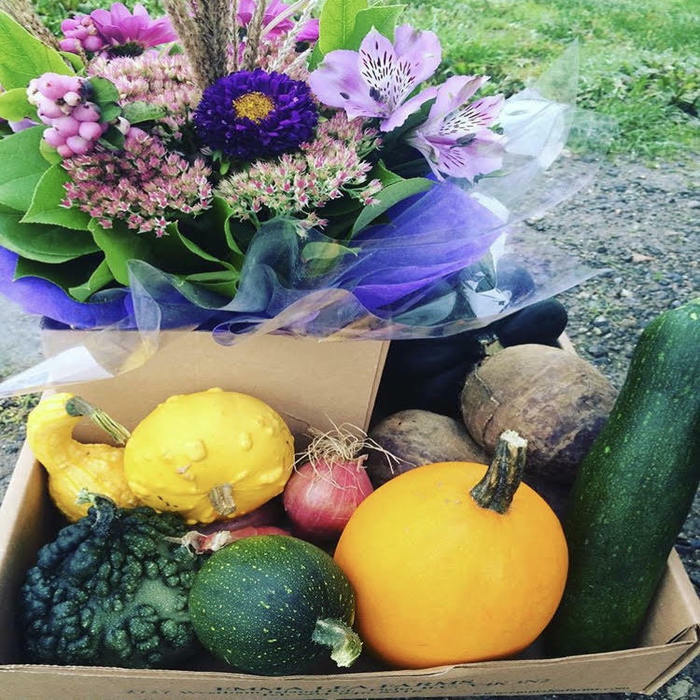 You can purchase them already picked for you, or go out to the fields and pick them yourself! In the summer months, we also bring in the highest quality Cherries, Peaches and Nectarines from the Okanagan. We also sell a variety of in-season vegetables. We have early nugget potatoes, green and yellow beans, peas, red and green cabbage, rutabaga, red and golden beets, garlic and zucchini. You won’t find fresher vegetables anywhere! In the Fall, bring the family out and talk a walk through our Oat Maze and Pumpkin Patch! We make all of our jam on our farm in small batches. 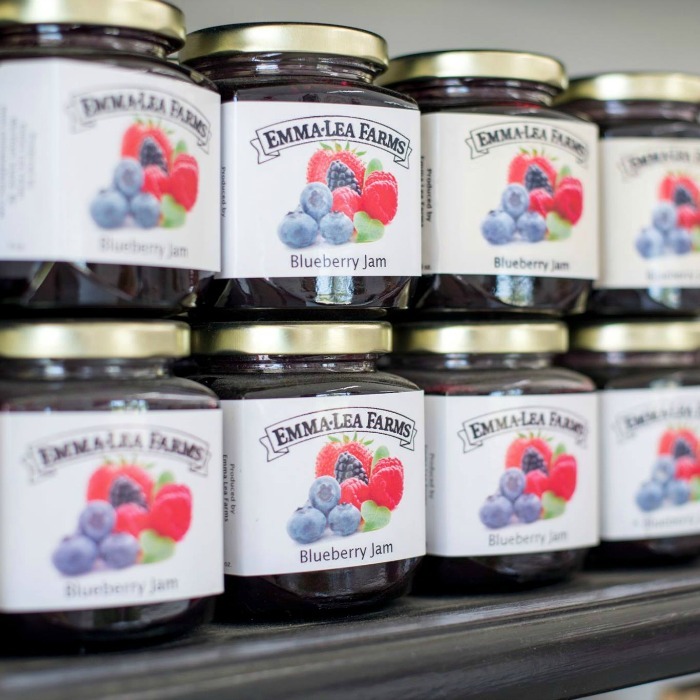 We offer strawberry, raspberry, blackberry, tayberry and blueberry jam. The secret to our jam? We use less sugar and more berries! 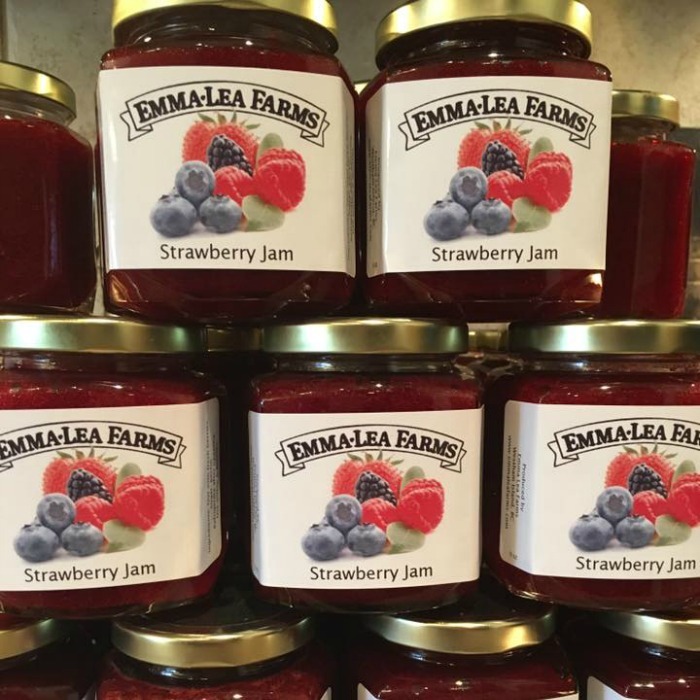 All of our jam is made with our own berries, or from berries brought in from a local farm. It’s the best! We also make our own pickled beans and beets on the farm in our commercial kitchen. These are made in small batches and with all local ingredients! Our honey is collected from hives all around the Lower Mainland. It is unpasteurized and comes in a variety of “flavours”. Our honey is available in a 500 gram or 1 kg jar. 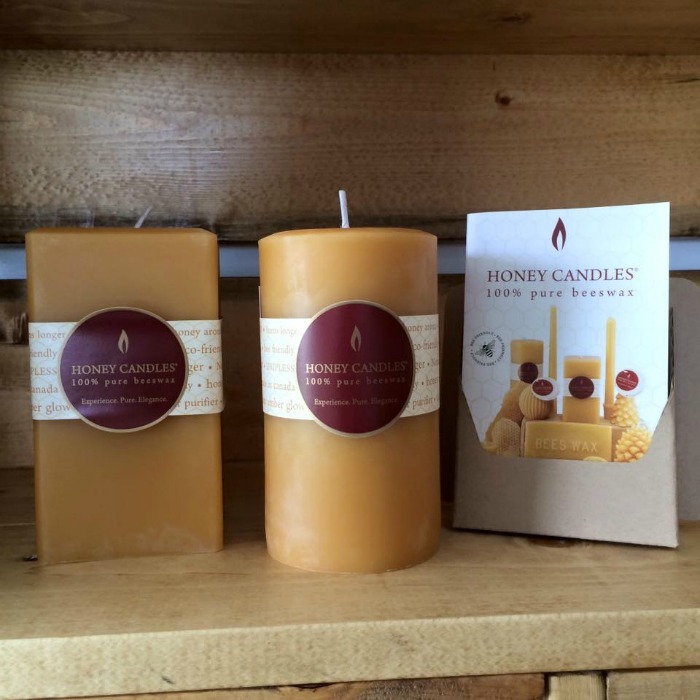 Our candles are brought in from Honey Candles® which is located in the Canadian mountains of British Columbia and for over 10 years is hand-crafting one-of-a-kind, natural beeswax candles. They are handmade from 100% pure Canada-made beeswax. 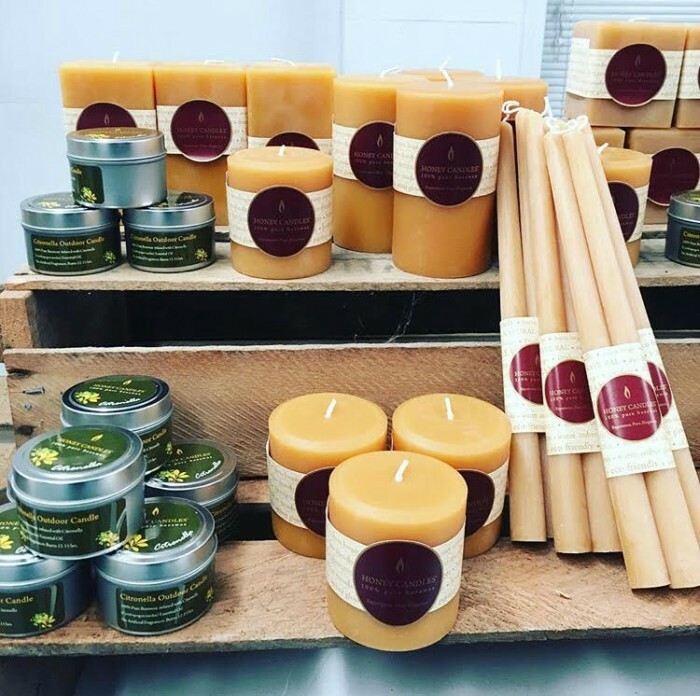 These natural beeswax candles are eco-friendly and good for your health, with absolutely no carcinogens or hazardous ingredients. Check out the many different products we carry! Love our farm? We’d love for you to represent us in the community! We have kids sizes 2T-4T, as well as, youth and adult t-shirts, crew neck sweatshirts and hats! We will also do custom orders… just let us know what you want and we will order it for you! Prices vary. Our flowers are brought in from a local company in Ladner. These water bouquets are beautiful and last forever. 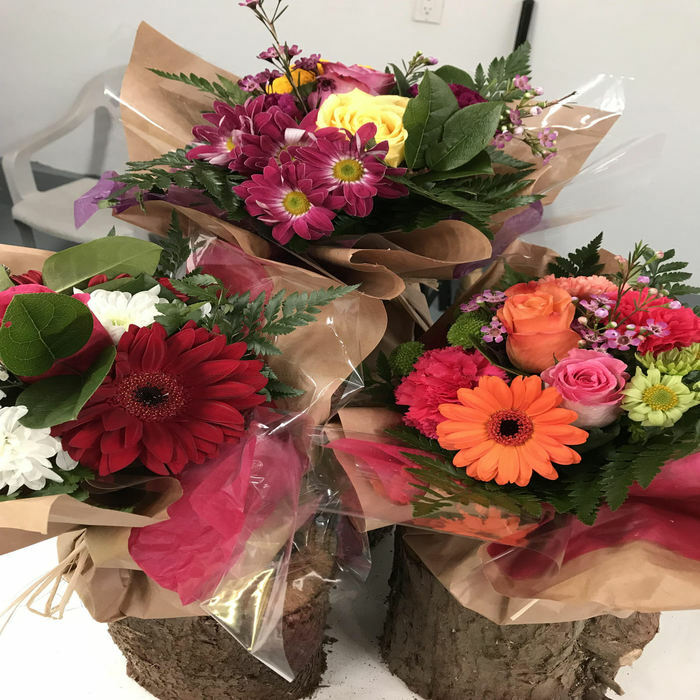 Check out the many different seasonal bouquets that we offer from Christmas and Thanksgiving to Easter and Mother’s Day! These make great gifts for a teacher, host or friend!